Get away from everything, but also get back to the important stuff. A mothership trip to the massive Biloxi Marsh can’t be beaten. This thing is really stressing me. No, this thing is really kicking my backside. 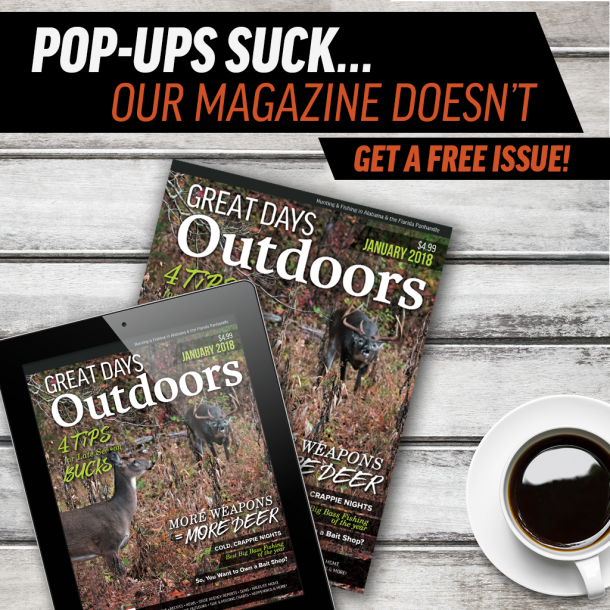 My one-piece rod is bent as far as it will go before becoming a two-piece rod, and my reel has been making funny noises since something big and mean has grabbed my soft-plastic grub which I had tossed into a tiny feeder creek emptying into a bayou. Working this big fish takes some concentration, but even while I am fighting this large redfish, I can take notice of the world around me. Miles and miles of flat, open marsh with no vertical relief at all. Just lots of mud, reeds, and water. Clouds of ducks and other water birds fly over and past me, and other water birds squawk and rattle from the thick reeds of the marsh. But mostly, I am trying to get control over this mean redfish. The funny thing about this fight- I’ve been doing similar things like this all day. Along with bayous, open channels, reed beds and lots of ducks, this place, the Biloxi Marsh, has a very big population of redfish that are not shy about taking an angler’s offerings and then giving a major struggle. And I don’t even have to worry about a long run home to the boat ramp- I’m staying in the marsh, and I’m staying in very, very nice surroundings. I am here on an overnight mothership trip, and I’ll be sleeping and eating supper and breakfast aboard a floating palace. I keep my mind on my work, catching this redfish, but I can’t help thinking, this Biloxi Marsh overnight fishing is rough all right, but I believe I can get used to it. The Southern Magnolia is a big, comfortable, welcome place to spend the overnight hours. Photo by Ed Mashburn. What is This Place, and Where is It? Biloxi Marsh is a massive area that is somewhat difficult to access. Let’s be honest, without a boat, it’s an impossible place to access. 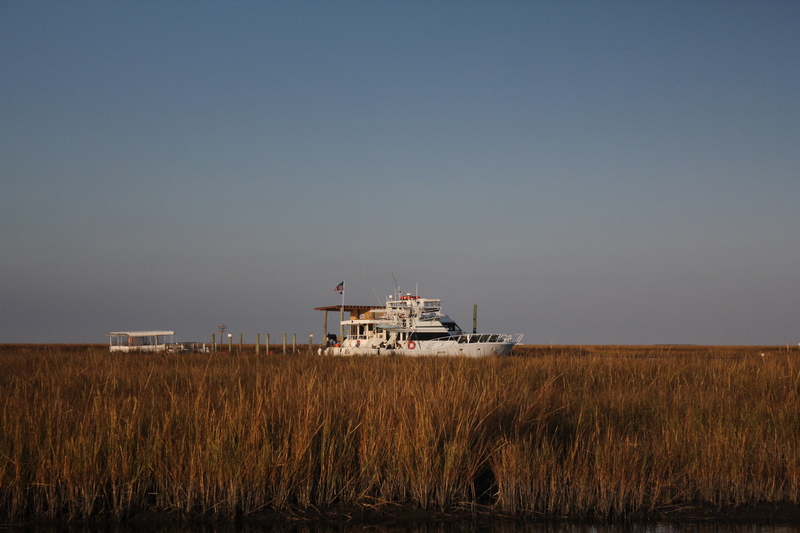 Most Louisiana anglers who go to the Biloxi Marsh on their own boats launch from Slidell, Hopedale or Shell Beach and make a long, open water run to reach the outskirts of the marsh. Most anglers never go very far into the marsh to fish- and mostly, they don’t need to. The Biloxi Marsh is a very complicated network of wetlands and bayous, and it is a big area. Over 210,000 acres make up this marsh on the border of Mississippi and Louisiana. The marsh lies only 45 miles east of New Orleans, but it is an entirely different world from the freeways, crowds, lights, and noise of the city. There are large expanses of open water which separate the marsh from any boat launches, and this long open water transit discourages a lot of anglers. Trying to make a trip to the massive and very confusing Biloxi Marsh without an experienced guide who really knows the area would be a mistake. It is very easy to get turned around and totally lost in the maze of bayous, creeks, and open ponds of the marsh. There are no good landmarks to try and orient to, and the whole marsh looks the same. Cell phone reception is very spotty at best. The Biloxi Marsh is a wild place, and its waters are filled with a lot of wild, wild fish. So, What Kind of Fish? The Biloxi Marsh is one of the best locations on Earth to find big, eager to bite redfish. Biloxi marsh reds are not spooky. OK, let’s tell the truth again- Biloxi Marsh reds are not the most aware fish in the world. After all, most reds in the marsh will live their entire lives and never know that such a creature as humans exists. The reds in the marsh tend to be big, too. In fall, some very big reds go far up in the marsh chasing shrimp, crabs, minnows and other food, and these big reds are ready to rumble with anglers. Also in the larger and more open ponds, anglers can expect to find some very good flounder fishing. Flounder fishing in the marsh is a blast. Just pitch a soft-body jig up a shoreline and slowly bump it back to the boat. The flatfish will usually hit it on the hop, and they will usually hit it hard. The only problem with flounder fishing in Biloxi Marsh is that quite often, a redfish will take a jig intended for a delicious flounder. In the open channels and bayous of the Biloxi Marsh, schools of speckled trout sweep along and chase shrimp, finger mullet and mud minnows- and anglers’ offerings. Biloxi Marsh specks are very willing to blast top-water lures that are worked over bars and just out from points. There are some very big specks in the marsh, too. 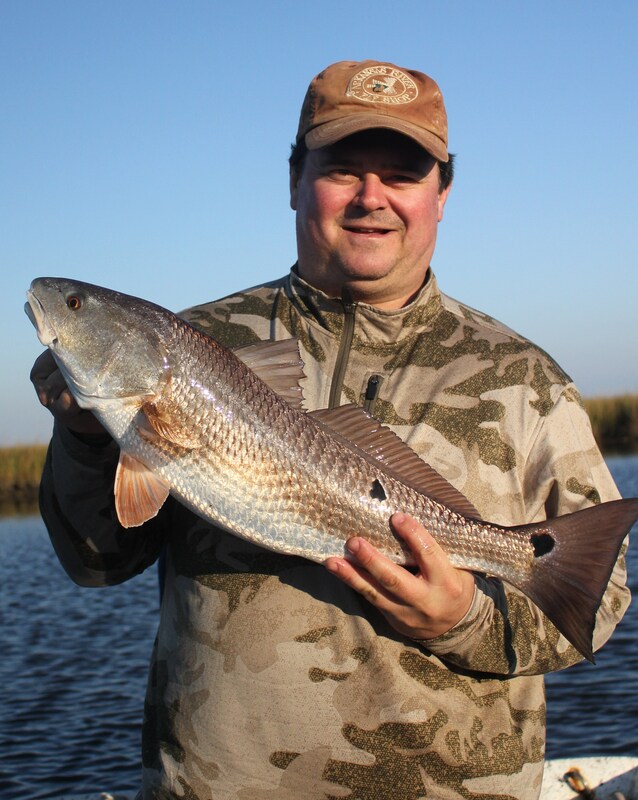 Anglers will find fast redfish action when they visit the Marsh. 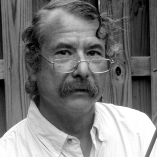 Photo by Ed Mashburn. And What About this Mothership Thing? The most difficult element about fishing the Biloxi Marsh is that it’s so darned hard to get to the good fishing water. It is a long run from the boat launch to the fishing. Mothership trips deal with this problem by taking anglers to the good fishing places and providing them with extremely comfortable overnight accommodations. So, in the morning, anglers just get up, eat a fine breakfast, and then load in small fishing skiffs provided by the mothership service, and then spend the day fishing, not running across open water to get to the fishing. We’ve been on two overnight mothership trips aboard the Southern Magnolia, and both trips have been remarkably good. The living quarters are cushy- almost palatial- and the food is superb. Some of the best steaks I’ve ever eaten were served by the captain and crew of the Southern Magnolia, and the seafood? Well, these folks are Cajuns, and they know how to cook. The Southern Magnolia is docked at Slip C47 at the Pass Christian Harbor in Pass Christian, Mississippi. Captain Brian Gagnon and the crew make sure that everything that might be needed for a productive and comfortable trip is aboard and ready for use. Many of the clients booked for overnight mothership trips go on three-day trips which depart the dock on Thursday night and return Sunday afternoon. Some scheduled trips leave Sunday night and return Wednesday. Clients can board after 5:00 the afternoon before the boat departs. The boat usually leaves around 12:00 the morning of departure. Trips can be customized for various numbers of anglers and length of the trip. The wonderful thing about these overnight mothership trips is that once the big boat reaches the fishing destination, it anchors and six fishing skiffs with 20 horsepower outboards and VHF radios to stay in contact are off-loaded and made ready. Anglers and guides hop aboard the skiffs and off they go on a fishing adventure second to none. Now, the Southern Magnolia is a sight worth seeing itself. It’s a custom built twin-screw 72-foot aluminum expedition trawler. It is a tough yet gorgeous big boat. Central air and heat, full heads with showers, full galley-with chefs, satellite television for those football games that can’t be missed, satellite communications- it’s all here. Up to twelve anglers sleep in two-man bunk rooms- very comfortable and spacious bunk rooms. It really is not saying too much about these overnight mothership trips when we state that the best, most comfortable, and most memorable fishing trips we’ve ever taken on the Gulf Coast came aboard the Southern Magnolia. These are truly once in a lifetime trips, but taking more than one mothership trip is also a very good idea, too. This is truly the best way to visit and fish the wonderful waters of the Biloxi Marsh.